A few weeks ago, the Wichita Falls City Council, citing the sharp drop in retail water sales and revenues, voted to raise your water rates by an astounding 53%. Of course the drop in water sales is because you were told not to use so much, hence the drop in revenue. Today, the council voted 5-2 to increase your property taxes by 2 cents per $100 of valuation to fund a 4% pay increase for city employees. With the water rate increase, the tax increase, the economy here just doesn’t seem to support this. The Wichita Falls Firefighters Association and the Wichita Falls Police Officers Association supported the increase. They say pay increases were necessary to keep good employees here. One WFPD officer who spoke to us said officers had not seen a pay increase in eight years. Perhaps some pay increases are then warranted. There are many working in the private sector that have not seen a pay raise in three or more years, and have taken pay cuts to save their jobs. Those same individuals will share the new tax and water rate increases along with everyone else. One resident who spoke with us but did not wish to have his name published said he and his wife are looking at a move in 2015. City officials have confirmed that a compensation package for City Manager Darron Leiker brings his annual salary up to $199,000. His pay increase is greater than the 4% across the board increase that all other employees will receive. City leaders will argue that the increase is necessary to retain our city manager, who is effectively the CEO of the city itself. Leiker has been in Wichita Falls since 2002 and has served as City Manager since 2005. Previously, he was City Manager in Sterling, KS for three years. 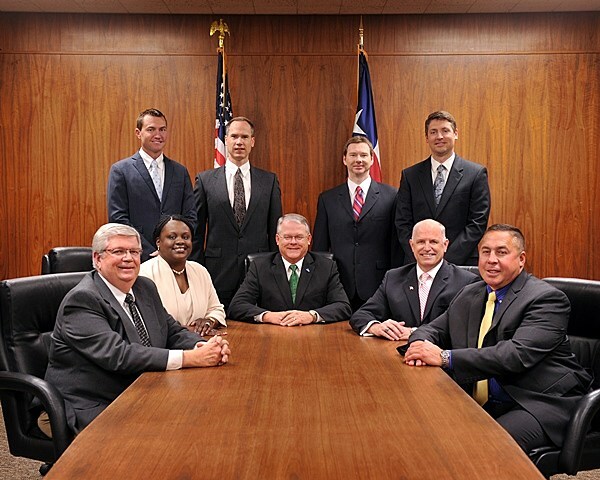 City council meetings are open to the public and public input is usually taken at the beginning of the meetings. Fewer than a dozen individuals even bothered to attend the last two sessions. But no doubt, the tax increase will have many in an uproar. And while the backlash may well be justified, given the current state of the economy as a whole, it’s easy to see why the impending backlash may not be seen as major concern by the council, when so few of our citizens bother to offer input or object. One issue that has been cited as affecting attendance at council proceedings is the time; meetings are on Tuesdays and start at 8:30am, when most homeowners are at work. But, what about those who are retired or work out of the home or for themselves? Could they not make the time to attend and speak out? Most of the people I’ve reached out to say they just cannot get away from work at such a time. That said there is also a feeling among our citizens that ‘you can’t fight city hall’ or ‘my words mean nothing.' Many of our older citizens seem to harbor these attitudes. Both of those notions are, of course, ridiculous and should be put aside immediately. Young citizens are most often not yet homeowners and show little concern. So while we may not approve of the actions of this council, we have only ourselves to blame. We elected them, yet we don’t seem interested in managing them. We’ve forgotten who the real boss (es) should be. Sometimes, you see, silence is not golden. If you pay property taxes or a water bill in Wichita Falls, you have skin in the game. You might want to pay a little more attention. NEXT: How Do Wichita Falls High Schools Rank Against Each Other Academically?